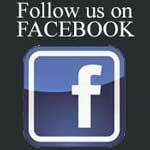 THANKS to all those who have booked on the Helensburgh Tennis Club junior coaching classes. There are still places on Monday and Wednesday. Bobby Kerr had a couple of replies for Wednesday afternoons pre-5 classes but would need a few more to make it viable. Don't forget the adult beginner and improver classes starting Wednesday May 1. Beginners start 7pm, improvers start 8pm. Email Bobby to book your place — it is free to members. Bobby said: "We hope to see everyone at our new season welcome evening next Wednesday (April 24) at 7pm. Come along for some friendly tennis and refreshments — see you there." 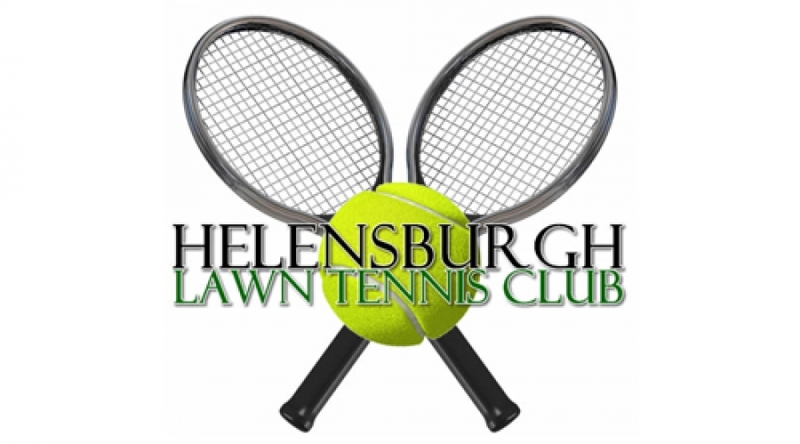 A FULL list of the coaching classes available at Helensbuirgh Tennis Club from April to June can be downloaded from the Downloads area of this website. Monday and Wednesday application forms for the next two blocks of junior coaching can also be downloaded. Red, orange, green and yellow ball classes start week commencing Monday April 29 with Katie Hope on Mondays and Shaun MacDonald on Wednesdays — full details on the forms. HELENSBURGH Tennis Club's season opening day tournament was well supported in bright but chilly weather on Saturday afternoon. 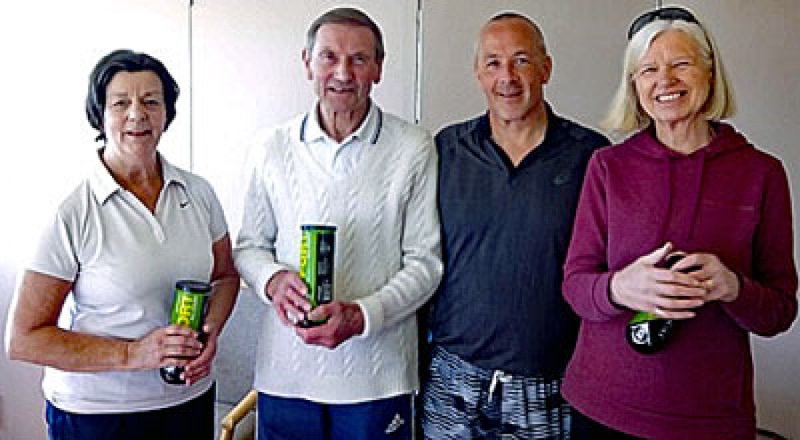 The event was won by Graham Court and Jackie Hunter, who narrowly beat Gay Black and Ralph Ward 4-3 in the final. 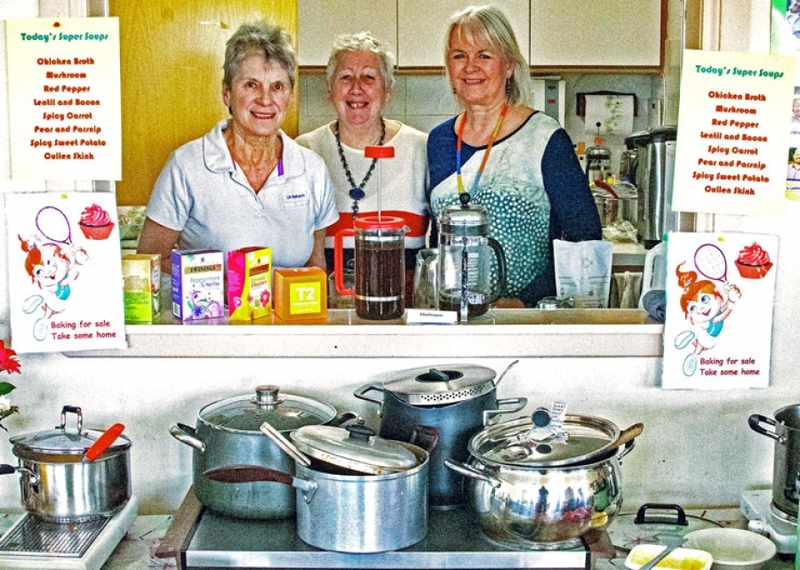 A VERY successful soup lunch was held at Helensburgh Tennis Club today . . . and raised £460 for Christian Aid. Organised by Phyllis Fullarton, Anne McKelvie and Fiona MacLaren, the popular annual event attracted many members and friends to the clubhouse. Here is the Helensburgh Tennis Club 2019 Newsletter as a pdf to be downloaded. 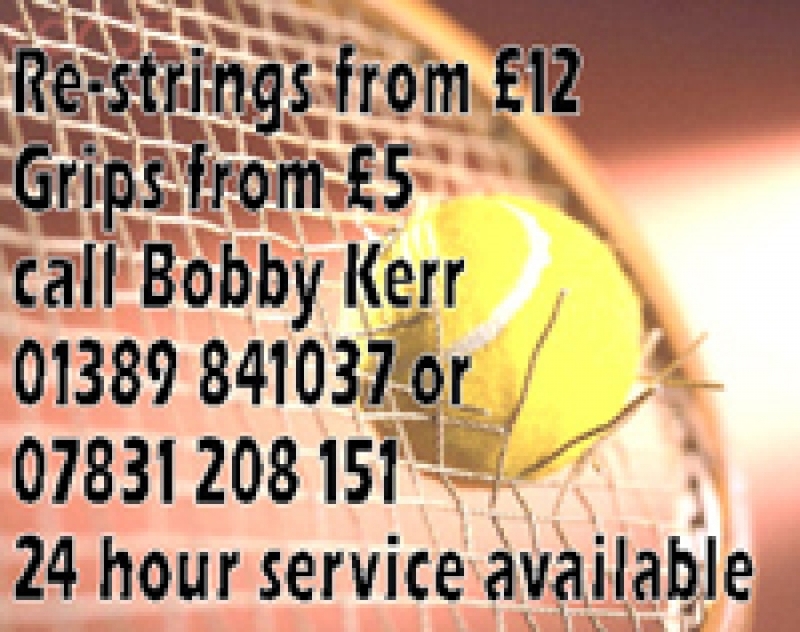 GET ready for the new season with a special offer from Bobby Kerr to Helensburgh Tennis Club members on all re-strings — only £10 for the month of March. Please note that Bobby is on holiday March 18-25, so get in early. He will be at the club this Wednesday 6-8pm and Thursday 7-8.30pm, or email/text him. 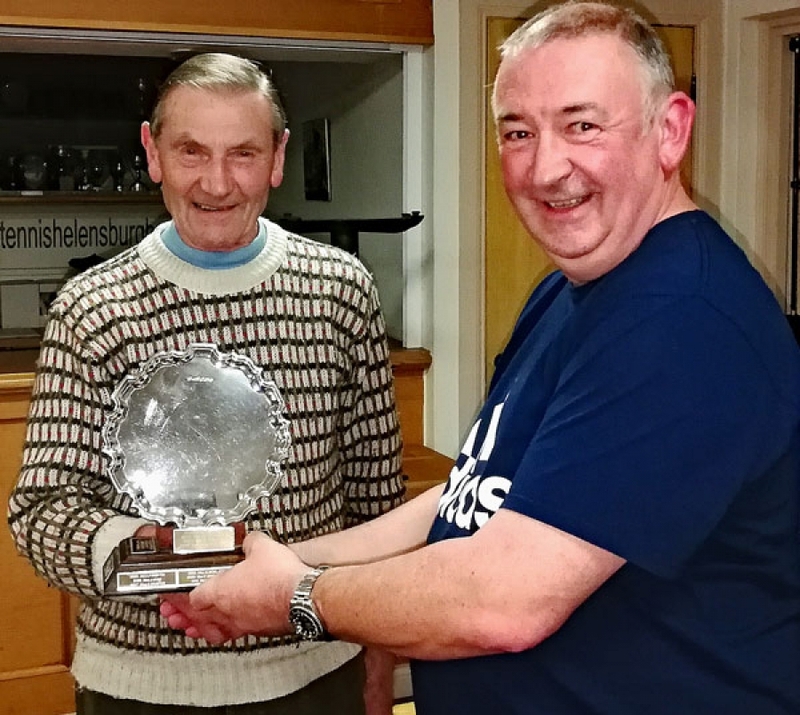 FORMER Helensburgh Tennis Club finance convener Mike Paterson is the second 2019 winner of the club's Lotto. Organiser Gay Black announced today that Mike was the winner of the February prize of £20. His cheque is on the way. 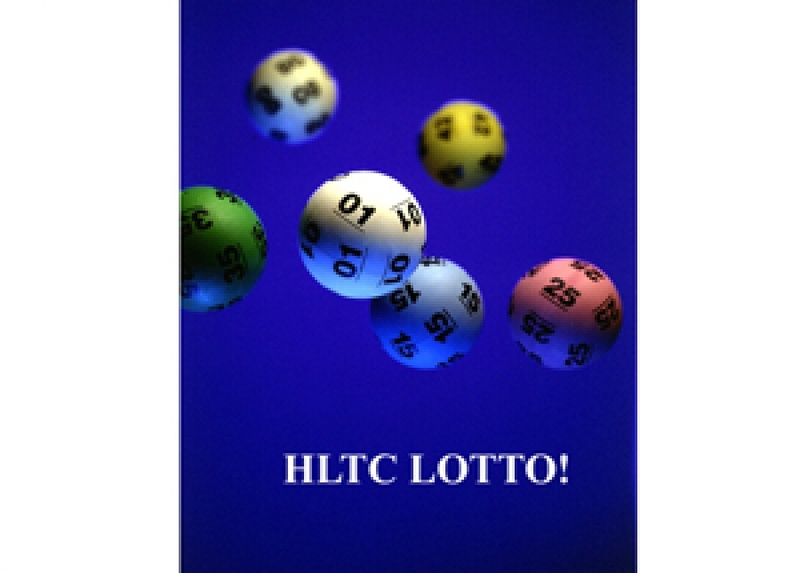 Last year Mike won the April and August draws. HELENSBURGH Tennis Club members once again dug deep and raised £250 to donate to the local branch of Alzheimer Scotland. 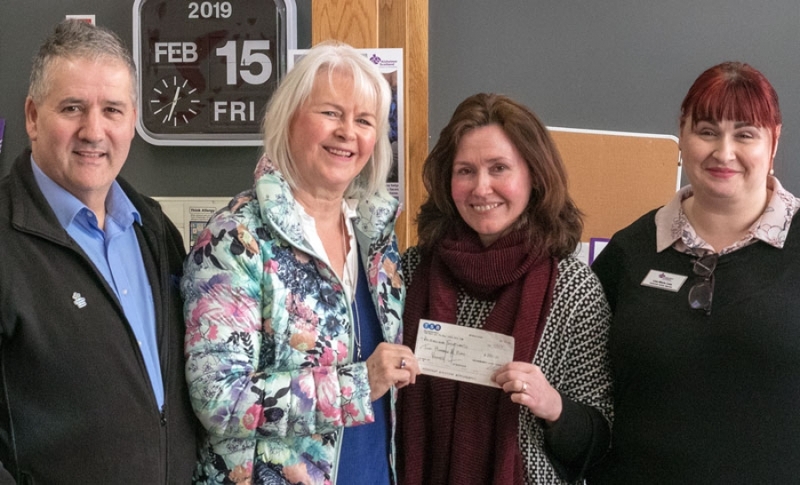 Committee members Fiona MacLaren and Bobby Kerr joined Anne-Marie King, Dementia Advisor, and Lisa Lees, Community Activity Organiser, at the West Princes Street branch to hand over the cheque. Club members recently took part in a bespoke first aid course specifically looking at tennis injuries including bleedings, sprains, fractures, cuts, grazes, bruises, burns, cramps and head injuries. The course was in addition to the recent training session on the club’s defibrillator. Junior coaching starts this week. A new cardio tennis class begins on Wednesday February 27, with the popular drills sessions starting the following evening at 7pm. THE NEW season starts soon, and it is a great time for Helensburgh Tennis Club members to think about getting themselves fit. The club can offer two great sessions starting at the end of February. 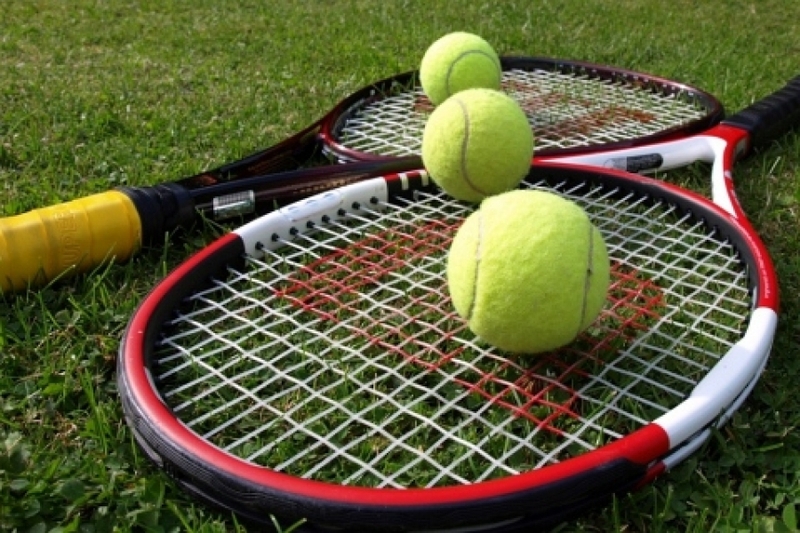 Katie Hope is keen to start a CARDIO tennis session on Wednesdays 6-7pm from February 27. The session is a mixture of fitness and tennis and is great to blow away those winter cobwebs. To get members started, the first session is free. The following evening club drill sessions start again 7-8.30pm. The session is a mixture of tennis drills focusing each week on a specific area followed by some match play. Again the first session is free. AS THE Annual General Meeting approaches, Helensburgh Tennis Club is looking for new conveners and members committed to help in other areas. HELENSBURGH'S Gordon Reid is in the four-strong British wheelchair tennis team whose challenge begins on Wednesday at the Australian Open. Gordon, the 2016 champion, will play Stephane Houdet of France, the 2018 runner-up at Melbourne Park. The world no.7 won the first Grand Slam singles title of his career in Australia three years ago and is relishing his return to Melbourne, which will see him play world no.3 Houdet in his opening singles and doubles matches. He said: “I love coming back to Melbourne Park. They have improved the facilities once again and it’s fantastic for all the players. Gordon has already played two tournaments this season, the first of which brought his latest Super Series doubles title when he partnered Argentina’s Gustavo Fernandez to win the Bendigo Open. 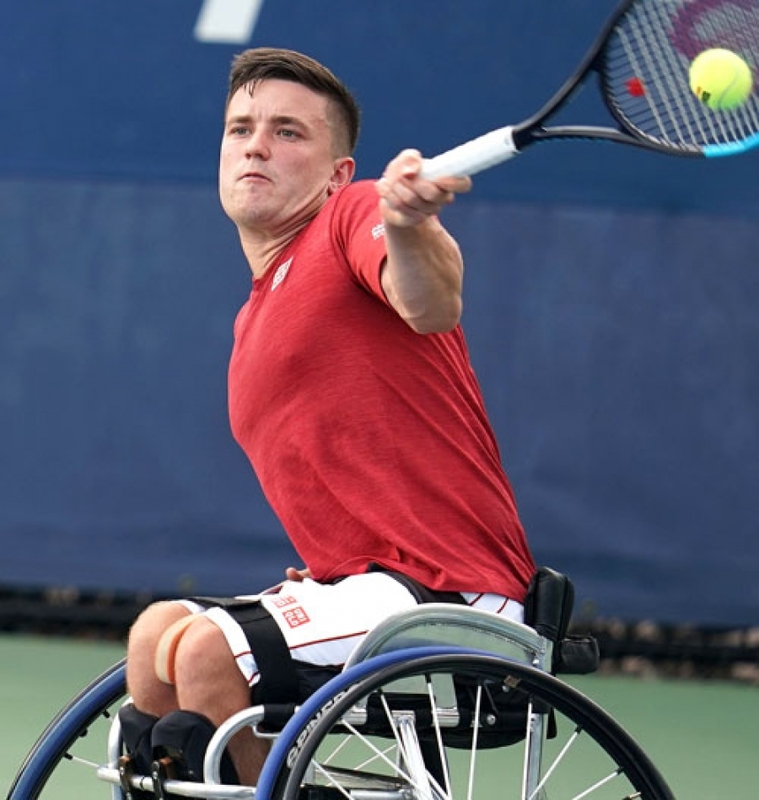 He now turns his attention to attempting to win back-to-back Grand Slam doubles titles with Alfie Hewett as the two-time US Open and three-time Wimbledon champions reunite. Gordon said: “Over the last few months I’ve played with a few different partners while Alfie had his break. They will play Houdet and Australian Ben Weekes in their semi-final.